Home BOLLYWOOD Mahesh Babu Wraps The Schedule Of Maharshi Before New Year! Just before the New Year superstar, Mahesh Babu wrapped the shooting schedule of his upcoming action film Maharshi. Mahesh Babu posted a picture on his official Instagram account where he’s seen having a party time with all his close friends along with his actor wife Namrata. The party gang also included Mahesh Babu’s actor friend Ram Charan. In the picture, Ram Charan can be seen taking the selfie while Mahesh Babu, Namrata Shirodkar, Upasana Kamineni Konidela, Krishna R Bhupal and Dia Bhupal grouped together. Mahesh Babu, who was last seen in critically acclaimed Bharat Ane Nenu, is currently making Maharshi with director Vamsi Paidipally. 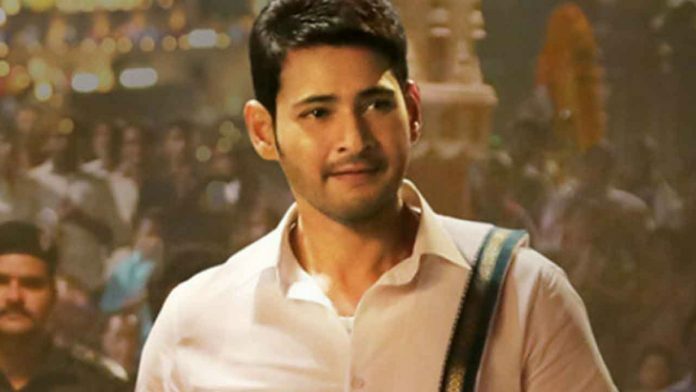 A good chunk of the film was recently shot in the US, for which Mahesh Babu was accompanied by his wife Namrata and children Gautham and Sitara. Maharshi also stars Pooja Hegde and Allari Naresh in pivotal roles. The first poster and the teaser of the film released on Mahesh Babu’s birthday in August. Maharshi Slated for release in April 2019. Previous articleSanya Malhotra Nailed The Bridal Look On The New Magazine Cover!